Non-Tender deadline 2015: do we have any candidates? The next big day on the 2015-16 Baseball off-season calendar is the “Non-Tender deadline.” Midnight on 12/2/15 is the deadline for teams to tender contracts to arbitration eligible players and/or unsigned players. If not tendered, those players immediately become free agents. (Craig Calcaterra has a funny little intro post on the same). The team has a whole slew of “unsigned players” but we’ll leave them out of this discussion for the time being, since the non-tender deadline is mostly about discussing what arbitration-eligible players will either guarantee themselves a contract for 2016 or be cut loose. (this is the 4th year running we’ve done this post: 2014 version (no real non-tender candidates and none non-tendered), 2013 version (Detwiler, Ohlendorf in play), 2012 version (Lannan, Gorzelanny, Flores in play), 2011 version (Slaten and Gorzelanny in play). The below table lists our 8 arbitration-eligible players for 2016, their current contract, what they got paid in 2015 and then two projections (mine and mlbtraderumors.com) for their 2016 salary. Lets go one-by-one, giving scant analysis to the more obvious tender candidates. Strasburg, Stephen: obviously he gets tendered; bigger question is what his 2016 salary ends up being. My guess is a bit higher than mlbtraderumors because i’m going more off of his presumed FA value versus a projection of his 2015 pay vs performance. Might be an ugly arbitration battle if the two sides come in very far apart. 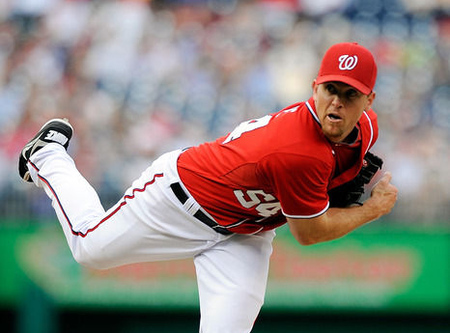 Storen, Drew: obvious tender since he’s getting shopped heavily. Here mlbtraderumors thinks he’s worth quite a bit more than I projected. Maybe i’m undervaluing saves. But the Nats would certainly like to rid themselves of this arbitration case headache. Rendon, Anthony: obvious tender and hoping for a return to 2014 levels. What do you pay him? I said $4M … and that might be pretty high considering his 2015 performance. Could also be an ugly fight in the arbitration hearing. Espinosa, Danny: made himself a bit of money in 2015 by improving his average a bit; still has L/R split issues but he will continue to have a job as a utility infielder for years to come thanks to his plus-plus defense. Stammen, Craig: unless his recovery has been fouled up, he’s a tender candidate and frankly should probably look to sign another cost-controlled 2-year deal with the team instead of fighting it out in a hearing. Ramos, Wilson: may have struggled at the plate but he’s the only starting catcher we have. Now for the real Non-tender candidates. Lobaton, Jose: Is Lobaton worth $1.5M (both my estimate and mlbtraderumors) given how poorly he hit in 2015? Yes he is; unless you can tell me that either Pedro Severino or Spencer Kieboom is ready to be an every 5 days MLB catcher (or potentially more given how historically brittle Ramos has been) then Lobaton has to be tendered. 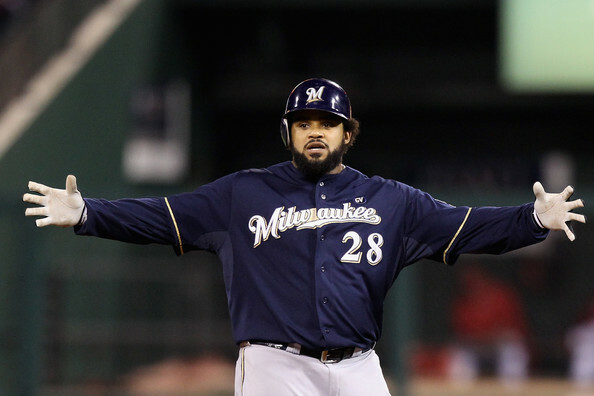 If the team signs a catcher in the next two days, maybe you can cut him loose. But you generally keep ahold of MLB-competent (if not quality) catchers, not get rid of them. So I’ll guess we tender him. No options available, so he’s either all-or-nothing on the MLB roster for 2016. Moore, Tyler: to me the only real non-tender candidate we have. No options available, had his worst season yet at the plate (.200/.250/.364) and is positionally limited to 1B and LF (two slots filled by guys on $100M contracts). He posted a -1.5 bWAR in 2015 and now has a -2.1 bWAR for his career. I just don’t see how he’s tendered a contract frankly; wouldn’t the team do better to have a cattle-call of MLFA NRIs next spring to find a more useful RH-off-the-bench bat, which is essentially what Moore has become? I think so; in fact some of the recent signing activity (Reed Johnson, Scott Sizemore, Chris Heisey) seems to indicate exactly this; the team thinks it can find a player who has a better MLB track record and who is more positionally flexible than Moore. My prediction: non-tender. Thoughts? Would you do something different? PS: after publishing, mlbtraderumors.com published their comprehensive list of non-tender candidates for the year. They list Lobaton, Moore and Stammen as their non-tender candidates. I think non-tendering Stammen would be pretty heartless, but that’s the business. 12/2/15 results: the team pre-negotiated two deals with Lobaton and Moore, but ended up non-tendering Stammen. Lets hope they can find a way to bring him back. I was mildly surprised to see the news wire report today before the Nats-Yanks series finale; the Nats have designated Brad Lidge for assignment. Not because Lidge didn’t “earn” this release; his numbers on the season are abysmal for a mid-to-late innings reliever (9 1/3 IP, 12 hits and ELEVEN walks for a ridiculous WHIP of 2.46. And not because Lidge was singularly involved with both of the Yankess losses this weekend (he allowed Gio Gonzalez‘s inherited runner to score before allowing another three runs in on friday night, then wasting six shutout innings from his fellow bullpen members by giving up 3 hits and a walk in the 14th inning yesterday). 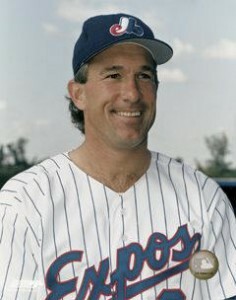 I say I’m mildly surprised because I honestly thought the next guy to get the axe out of our suddenly struggling bullpen would be the curiously called-up Mike Gonzalez, who may have decent ancillary numbers so far (no runs in 4 IP over 6 games) but he’s allowed a Doug Slaten-esque 4 of 9 inherited runners to score, including 2 in friday night’s bullpen implosion as well. Gonzalez seemed to be a two week solution, signed off waivers only to provide cover until we got a couple of arms back off of the DL. I certainly didn’t expect him to be seeing as much game action as he has lately. 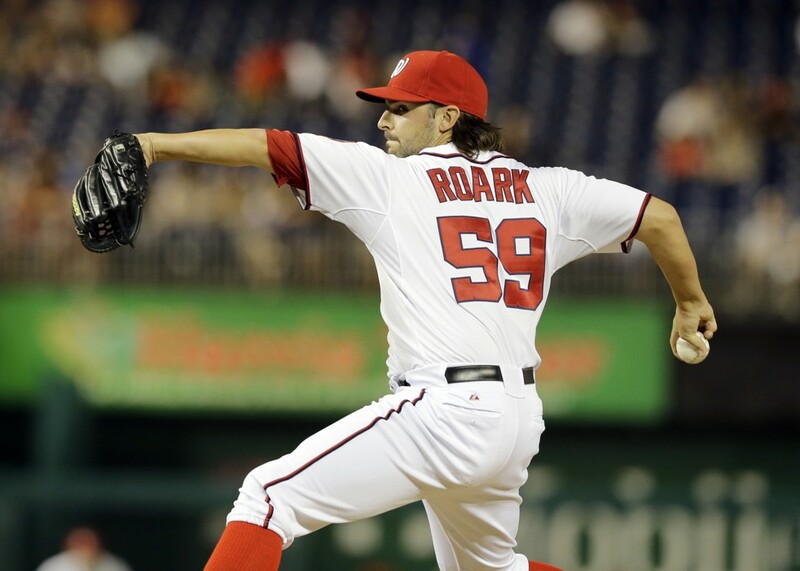 The Nats are starting to see the real effects of losing two of their three best arms (Storen and Rodriguez); guys who should be the 5th or 6th guys out of the pen are now the 1st and 2nd guys out of the pen. Clippard, who was doing just fine as the best 8th inning guy in baseball (he did lead the majors in Holds in 2011) now is, well not “wasted” as the closer but certainly not doing what he does best; being the guy who cleans up and fixes the highest leverage situations. More to the point the team faces now; the loss of Storen and Rodriguez, as well as the trickle-down effects of stashing Ross Detwiler in the bullpen so the (so far) inferior Chien-Ming Wang can continue to put up sub-replacement player numbers out of the #5 starter role, combined with the presence of THREE swing-men/ex-starters (Gorzelanny and Stammen to go along with Detwiler) means that suddenly our bullpen has found itself ill-prepared to face the challenges that it was meant to face. We really only had four true back-of-the-bullpen relievers who could close out games. The team’s still in first place, a third of the way through the season. With no reason to think we can’t maintain the lead now that our big hitters are back and getting healthier. We need to shore up this problem so it doesn’t derail the progress this team has made. Arbitration-eligible Salary Guesses; how close was I? This week, ahead of the salary exchanging deadline, we’ve seen the Nats re-sign a slew of their players. How close was I to properly guessing the salaries of these players? Tyler Clippard: re-signed but terms unknown as of 1/17/12. My guess matches mostly what our beat reporters are guessing, but as of the time of this post we don’t know the exact terms. Jesus Flores: guessed $800k, signed for $815k. That’s pretty close, and slightly higher than I thought he’d get. He gets a modest raise from the $750k he got for 2011. Tom Gorzelanny: guessed 2.8M, he gets $2.7M. Again, pretty close to guessing correctly, but still surprised he earned such a raise during a year when he went from starter to reliever. That had to factor into the tempered number (a 2nd year starter in Gorzelanny’s situation probably would get something closer to Lannan’s figure). John Lannan: guessed $4.5M, unsettled as of 1/17/12 so they submitted competing figures: $5M from the team, $5.7M from the player. Wow; I really under-estimated what Lannan is worth. If this went to arbitration, I’d have to think the team would win. 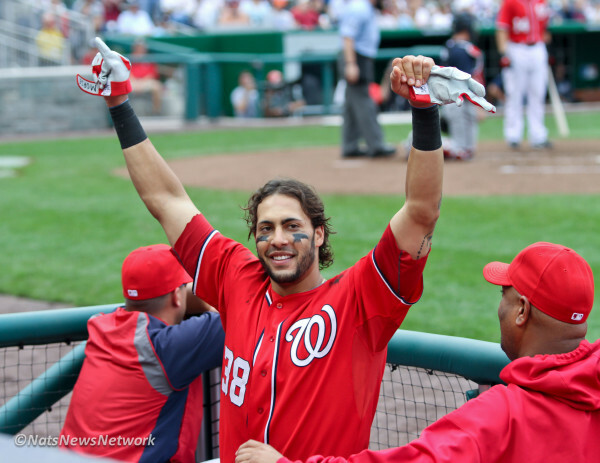 Michael Morse: guessed $3.9M, unsettled as of 1/17/12, so they submitted competing figures: $3.5M from the team, $5M from the player. A massive gap; my number is closer to the team’s valuation and I think Morse has really overbid what he’s worth. I think Morse loses an arbitration hearing (he made only $1M last year and certainly the concern would be that he’s a one-hit wonder). Doug Slaten, as we all know, was non-tendered and recently signed a minor league deal with Pittsburgh. I’m not sure what the terms of that deal would be if he made the team but would guess its somewhere below the typical veteran minimum line of $800-$850k. 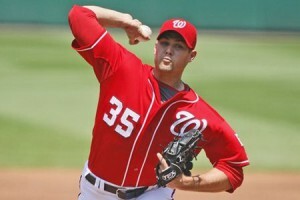 Jordan Zimmermann; guessed $1.8, he gets $2.3M in salary. I was way off here; I guess I figured that his relative youth would keep the salary lower than it may have been otherwise. This award bodes badly for the team for the next three years; if he’s at $2.3M now he’ll likely push close to $10M by the time he’s reaching his 4th time through. A good problem to have, honestly. 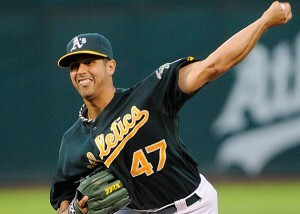 One last player: Gio Gonzalez as we know was arbitration eligible but signed a 5 year deal late last week, buying out all his arbitration years plus the first couple free agency years. $8M AAV is a decent club risk, and gets us a #2 level starter for about the same amount of money we were paying Jason Marquis off the open FA market. I’m especially happy to see most of these cases settled prior to even exchanging figures. The Lerners are clearly learning (no pun intended) from past arbitration cases that they serve little purpose but to alienate players over (in the grand scheme of things) pocket change. Lets hope that they can find some middle ground on Lannan and Morse prior to needing to go before an arbitrator.